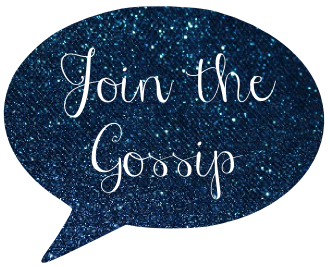 Join The Gossip: A Wonderful, Wild Week! This week has been crazy for me. Last Friday I went to see Funny People, Saturday was a bachelorette party, No Doubt concert Sunday, was supposed to go to a Chelsea Lately taping Monday but we got there too late, 26th birthday Wednesday, The Action Design show tonight, and finally, birthday parting Saturday. Whew! 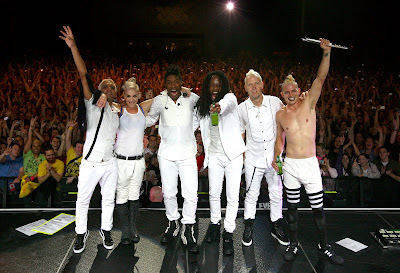 So for now I'll give a recap of the show I caught on the No Doubt comeback tour. In a word: amazing! As far as comebacks go, this was probably the concert of the year, with Britney a close second. So many people I know went to one of the many LA-area concerts. I believe they added five or six extra shows due to high demand. So even though our seats were far back, it was well worth it! The band played all of the classics and the crowd went wild the entire night. It was actually my first time seeing them live, despite my admiration since the days of Tragic Kingdom. Nothing compares to the "Just a Girl" video. The day I saw that video, I was hooked. Gwen looked amazing, but almost too amazing. Her abs are incredibly defined. A little more than I like to see on women though. Good for her for being so fit, but I like her looking more femenine. I will say though, seeing her has inspired me to start going to the gym regularly! Her outfits were hot, but they were more Gwen Stefani than Gwen from No Doubt. As I mentioned in a post a few months back, I prefer her style circa about 1995. That said, she was rockin' some great outfits. I especially loved her main getup and a sparkly black top she wore for the encore. Overall, the concert was unforgettable! It was one of the best I have ever been to and I am so lucky I got to experience the return of No Doubt. Did anybody else catch one of the concerts? If so, what was your most memorable experience of the night? You have been super busy! I would have liked to go to the No Doubt concert, but I had no money! happy birthday!! im jealous u went to gwen's concert! Hey! New to this whole blog thing and I love yours. 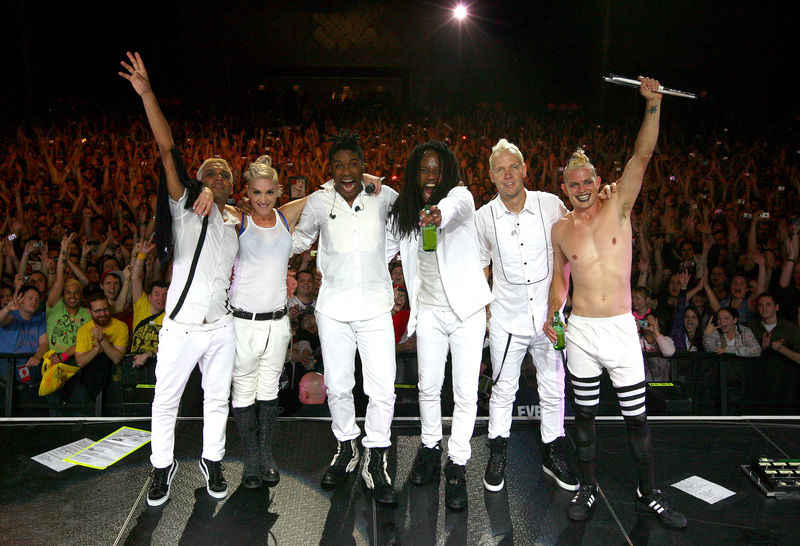 I saw No Doubt in PIttsburgh this summer and it was a blast! We had lawn seats, but my friends and I were pulled off the lawn by people working there and they took us down to the front of the pit! We were 5 feet away from Gwen!! It was so exciting!! I love, love No Doubt! oohh..i Love Gwen Stefani..her voice so amazing! !